60 Months Lease with 10% Cap Reduction, for $899 a month + Tax O.A.C. This Mercedes-Benz G-Class also includes Clock, Climate Control, Tachometer, Dual Zone Climate Control, Homelink System, Privacy Glass/Tinted Windows, Power Steering, Telescoping Steering Wheel, Steering Radio Controls, Wood Trim, Power Mirrors, Moonroof, Lthr. Steering Wheel, Driver Airbag, Fog Lights, Passenger Airbag, Intermittent Wipers, Keyless Entry, Rear Defogger, Security System, AM/FM, Anti-Theft, CD Player, CD Changer, Surround Sound, Satellite Radio, Air Conditioned Seats, Running Boards, Rear Wipers, Center Arm Rest, Remote Fuel Door, Vanity Mirrors, Heated Mirrors, Body Side Moldings, Rear Fog Lamps, Child Proof Door Locks, Daytime Running Lights, Parking Sensors, Front AC Seats, Reverse Camera, Side Curtain Airbags, Roll Stability Control, Tire Pressure Monitor, Carpeted Floor Mats, Overhead Console, Aux. Audio Input, HID Headlamps, HD Radio, Onboard Hard Drive, Voice Control. 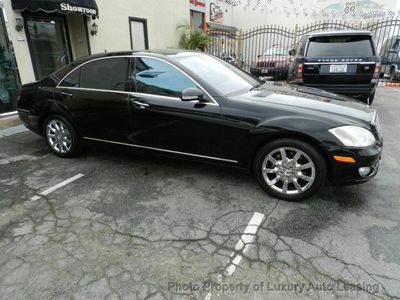 Comes equipped with: Designo Black, Nappa Leather Upholstery, Pa6 Package. This Mercedes-Benz G-Class also includes Air Conditioning, Clock, Climate Control, Tachometer, Dual Zone Climate Control, Homelink System, Privacy Glass/Tinted Windows, Power Steering, Telescoping Steering Wheel, Steering Radio Controls, Wood Trim, Sunroof, Power Mirrors, Moonroof, Lthr. Steering Wheel, Driver Airbag, Fog Lights, Passenger Airbag, Intermittent Wipers, Keyless Entry, Rear Defogger, Security System, AM/FM, Anti-Theft, CD Player, CD Changer, Surround Sound, Satellite Radio, Air Conditioned Seats, Bluetooth, Navigation System, Running Boards, Rear Wipers, Center Arm Rest, Remote Fuel Door, Vanity Mirrors, Heated Mirrors, Body Side Moldings, Rear Fog Lamps, Child Proof Door Locks, Daytime Running Lights, Parking Sensors, Front AC Seats, Rear Heated Seats , Reverse Camera, Side Curtain Airbags, Roll Stability Control, Tire Pressure Monitor, Carpeted Floor Mats, Overhead Console, Aux. Audio Input, HID Headlamps, Front Heated Seats, HD Radio, Onboard Hard Drive, Voice Control.